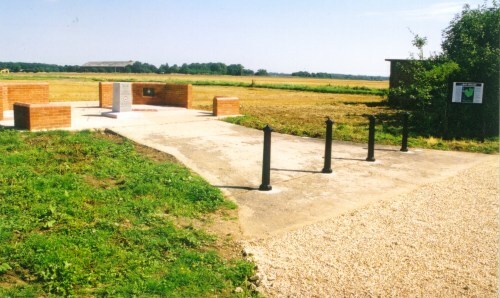 replaced by the new memorial dedicated in 2012. 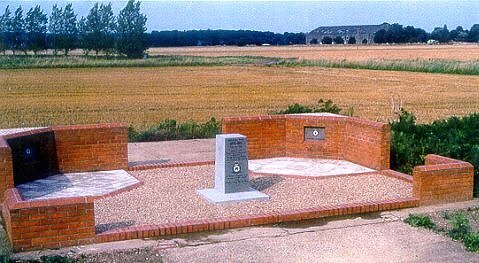 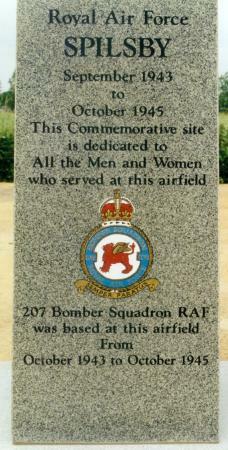 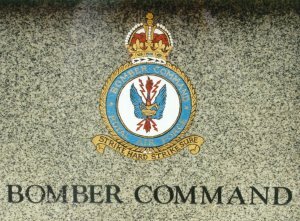 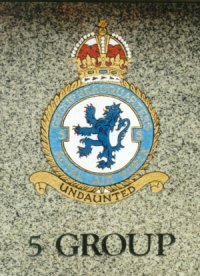 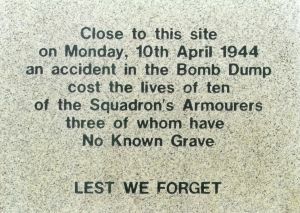 "one of the best - if not the best - of the airfield memorials in Lincolnshire"
close to where the Bomb Dump was located. 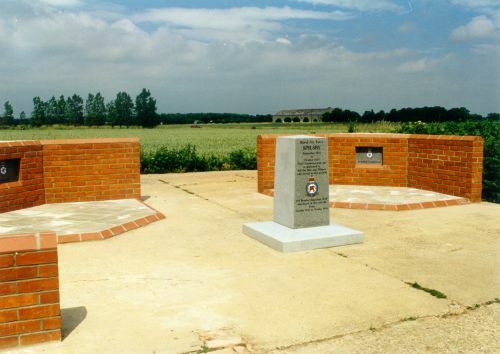 In Great Steeping turn off the main road into School Lane, follow it all the way to the T junction, turn right and the memorial site is on your left (letter B). 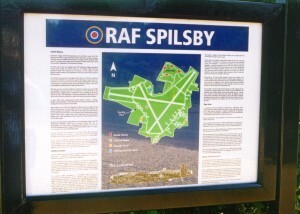 The aerial view reveals the traces of the airfield.